The Community Library of DeWitt & Jamesville is hosting its 1st CNY Literary Festival on Friday, November 30 from 6:30pm to 9:00pm, featuring more than 30 local authors from the Central New York area. The event is for all ages with authors of fiction, narrative nonfiction, and children’s books. Join me for a celebration of local authors and emerging writers and participate in a community experience that encourages the love of reading, writing, and the value of literacy in our community. With author readings, book signings, hors d’oeuvres, and giveaways, the CNY Literary Festival will shine a spotlight on local authors in Syracuse and the surrounding communities. Featured authors include: children’s author Bruce Coville, young adult author Tamora Pierce, mystery & romance author Christine Wenger, and novelist, essayist, and poet Arthur Flowers. Share a love of romance fiction with authors Patricia Antone, Regina Edwards Drumm, Nicki Greenwood, Erin Kelly, and M.J. Woods. Explore science fiction with authors Rick Allen and Nicholas Davis, and uncover mysteries with myself and fellow author Carol Pouliot. In hosting the CNY Literary Festival, the Community Library of DeWitt & Jamesville is creating a signature event to showcase and promote area authors. The library hopes to become a hub for writers in the area to meet, learn, share, and utilize resources. And a collection of local fiction authors is being added to the library’s local interest collection, which is home to several nonfiction titles about the Central New York area and its history. The Community Library of DeWitt & Jamesville is conveniently located in the suburbs of Syracuse, NY, at 5110 Jamesville Road, a short distance from 481 Exit 2. 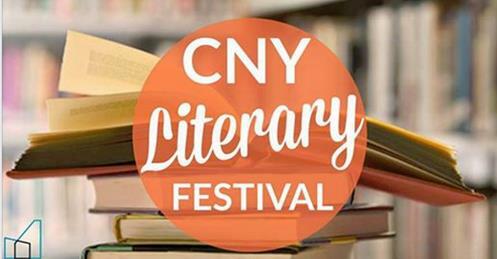 The Library’s CNY Literary Festival is generously sponsored by Community Bank N.A., DeWitt Office. For more information, visit: www.CLDandJ.org.